I want to serve the student body by taking on the responsibilities that this position entails. I wanted to get more involved on campus, and I believe that this group of people are an incredibly motivated and dedicated organization. I believe that by being a member of SGA, I can help the student body as a whole and improve myself in the process. My main goal: To improve the lives of those living in Fairview House. I want to see the residents of Fairview get more involved on campus by putting on more events inside Fairview itself and around campus. Getting people excited about being a part of the Butler community is a huge priority for me. Also, I think that finding new ways to make Fairview a more social environment is essential. Creating a sense of community in Fairview is another goal of mine. I have two main motivations for applying for this position. First, I have been involved in Student Council for various years since I was in 7th grade and I love being given the opportunity to organize fun events and represent my peers through a leadership position. Second, I have always found enjoyment in satisfying others and making their lives happier through service. I know that is something I would be doing as a member of SGA and would be more than happy to be a part of it. I would say my greatest strength is my desire to give the people what they want and my listening abilities. When I was on STUCO in high school, I never failed to take account of what my peers would tell me about their take on the events we organized and bring that feedback with me to share with my fellow class officers at the following meeting. As I acknowledged above, I really like to just put a smile on someone’s face and that’s why I love to do anything I can to make that happen! If elected, I would strive to make sure that every one of my peers that I represent will have the highest quality year at Butler in regards to planning events and service opportunities. I would also help encourage them to continue to live out our school’s values as a community of C.A.R.E. As a first year I am honored to live in Fairview. I want to make sure its resistants are properly represented and to ensure the dorm is left as good as new when we move out at the end of the year. Greatest Strength: My ability to communicate my knowledge and opinions. My goal is to make sure Fairview residents are equally represented and all opinions and issues can be heard. I look forward to scheduling multiple events where residents can express there feelings about Fairview and to hold events to develop a stronger community. I feel like I am a great representation of what our building values. I am very blessed to be living in Fairview as a first year. I want to be the voice for those first years, among others that live in Fairview to have a voice on campus. My greatest strength is my ability to think rationally and evaluate situations properly. My goal is to make sure we are doing what is best for Butler. I would make sure I talk to the peers around me to see what they would want, so I can properly advocate for the general population. I would like to represent Ross Hall in Student Government because I want to be a voice for my student body. I believe that student government in any school setting allows students to influence the school in a positive way and help make decisions regarding their campus. I would love to represent the residents of Ross by communicating their ideas, concerns, and propositions and help make a positive difference at Butler University. My greatest strength is my communication skills. As president of two clubs in high school, I learned how to facilitate meetings, voice concerns, speak directly with administration and other leaders, speak in front large audiences, communicate ideas between people and be a voice for the student body. My goal, if selected for this position, is to make a positive influence on this campus by communicating the ideas of my fellow residents. I plan to listen intently to any concerns, ideas and questions the students may have and communicate them with SGA to ensure that all student voices are heard and properly represented. My motivation for applying for this position is my desire to help those needs and improve the lives of all possible. My motivation comes from having been in a low state and now wanting to reach down and help others. In my opinion, my greatest strength would be my ability to work with and get along with all kinds of people. I would describe myself as easy to talk to and get along with. My goals would be to maintain and improve the environment of my assigned constituents. Also to improve the Butler community for all by receiving ideas from my peers and acting on it on their behalf. My motivations for applying for this position is my interest in public policy and government. I believe there is no better way to get this experience than to be involved in SGA as one of Ross Hall’s senators. I also want to improve life in Ross in any way possible, and I want to get to know it’s residents. My greatest strength is my ability to complete a job or task. I am a “doer” and thorough. During my whole high school career, I gave all assignments, trivial or arduous, my all. I complete any task given to me; I work until the job is done. My goals as a senator for Ross Hall would be to emphasis the great sense of community residents get to experience living in this hall. I plan to organize events that all residents can have the opportunity to attend. Also, I plan to improve the building in any way possible both physically and socially. I want to contribute to Butler University and the Community of C.A.R.E. as much as I possibly can throughout my years here. I feel that this position will give me those opportunities and open my mind to more ideas. I also am a firm believer in simply getting involved, and this would be the perfect fit for me. I want to be active in an impactful way that will affect the entire University. My greatest strength is my ability to communicate with others and work in a group setting. I have been involved in many different teams and groups from a young age, which has shaped me into the listener and communicator I am today. I also am very much a “people person.” I thrive off of others’ ideas and successes. My first priority would always be those I am representing. I would ask for their ideas, wants, and needs before addressing my own. My goals are to unite Ross Hall more, along with the University through activities and possibly something that has never been done before. My goals would include fulfilling any duties assigned to me, and especially working with and for my fellow classmates and the staff here at BU. Another goal I have would be to advocate and educate about prevalent issues facing not only BU, but the world that we as college students can help. These things include mental health, eating disorders, and overall well being. I would love to get involved with the school and make the school a fun and less stressful place. I’m a very loyal person who is dedicated to making people happy. I would really like to invest time into volunteering within my college and on a broader scale within the Indy community. I feel that this position can lead me and help direct others in the residence hall to be as passionate about it as you and draw their attention to more important things around us. I wish to use and improve upon the leadership skills I’ve learned through Boy Scouts and my job. By running I hope to improve the quality of campus life. In addition I want all students to access to a variety of activities. My greatest strength is my ability to empathize and listen to others. My main goal is: To drastically increase the accessibility of SGA so everyone feels that they are adequately represented at Butler. As a senator for Ross Hall I would also continue to circulate fresh ideas to keep students involved both on campus and in the community. I would like to give the students of Ross Hall a say in student activities and ensure they always feel as if they are being represented throughout campus. I also want to be able to offer numerous fun events and ways for them to get involved. My greatest strength is I am a determined hard worker. As it can be seen from academics, sports, and leadership positions, I always strive to do my best in everything I do. I am great at time management as I learned from being involved in many organizations and juggling several obligations on a daily basis. I want to gain experience in the political field and learn how to represent a people group to further my political science career. My greatest strength is my loyalty; I never turn my back on the people I love. I plan to provide a voice for the people in Ross Hall by working with the RA’s and the residents. My first plan would be to offer all students coming into Ross a doorstop to further the community building in the hall. I would like to make the freshman housing experience of Ross an unforgettable one. As a resident, I have already introduced myself to most residents and know them well enough that they feel as if I am approachable enough to speak to about the living conditions. Therefore I would like to represent not only where I live, but my neighbors and friends. My greatest strength is my outgoingness and lack of fear to talk to people. When I am elected, I hope to become a speaker for my neighbors who I have already become so close with. My goal would be to make sure they had a welcoming first year living on campus. I would also like that if what I can accomplish by being senator stayed until Ross’ closing to last for future classes. My motivations for applying for an SGA position is to have a voice on campus that matters. With this voice I’d like to properly represent Ross and make a change for the better in the community. My greatest strength is that I’m a good listener. I like to hear everyone’s voice in conversations. I’ve learned that while listening, I find out a lot about my peers’ interests and opinions. If elected, my goals would include: planning events for Ross hall (and/or the Butler community), coming up with intellectual solutions for problems on campus, and becoming an important part of continuing Butler’s renowned reputation. I want to immerse myself into the Butler community and help bring positive change to my peers. The Ross Hall senate position will allow me to help build a strong community and advocate for change for the people I live with. My greatest strength is my drive to succeed. No mater the task, I work with and for my peers to accomplish any obstacle that confronts me. As President of Dance Marathon at an urban school, my executive council and I had to tackle the struggles that came along with asking for donations from students who were unable to give themselves. I believe it was my drive to succeed that led to raising over $35,000 in our first two years. Ross Hall fosters a sense of community like no other residence hall. Whether it’s the community bathrooms, the always open doors, or the camaraderie built around living with no AC, “Ross Love” is alive and well. But while there is a strong community, there are some much needed improvements. As Ross Hall senator, I will work to ensure all bathrooms are consistently maintained, work with Resident Life Staff to ensure the basement flooding issues are addressed and host events that further a build a sense of community. My motivations for applying for this position derive from my desire to use my leadership skills and prior experiences to serve my fellow classmates and students of Butler University. I am motivated by the power of the individual, and their make change where it’s needed most. My greatest strength is my compassionate and dedicated attitude that I apply to all aspects of my life. My goals and plans for this position would be centered around serving the residents of Ross Hall and making their time on Butler as comfortable and memorable as possible. One specific goal I have would be to get access for students to the courtyard so that they could use all of that green space for studying, recreation, and congregation amongst peers. I would also like to make t’shirts for all Ross residents in lieu of the fact that Fairview residents received t’ shirts, and I feel Ross residents also deserve them. First, as a political science major, I think it would be beneficial to be involved in student government as a precursor to a potential career in government on a larger scale. I’m very interested in leadership and I enjoy listening to and helping others. Additionally, I think it’s important for the voices of the student body to be heard, and I want to help make Butler the best school it can be. My greatest strength is that I am very passionate about all the causes I am involved in and will work extremely hard to accomplish goals regarding those causes. My goals for this position would be to engage students in student life and activities at Butler. I would also listen to the thoughts and feedback of my peers and act on their ideas to improve their lives at Butler. My main goal would be to talk to the people I would be representing and find out the best way to serve them and address their needs. My motivation for applying to be a senator is to make a positive impact on my peers and make our first year at Butler an even more amazing experience. For many of us, this is our first time living away from home, and I want to help create an atmosphere that is accepting, fun, and makes us feel like we have a family away from home. My greatest strength would be the dedication I have for everything I do. When I commit myself to something, I commit my whole self and heart to making it the absolute best I can. My greatest weakness would be my tendency to be a perfectionist. I tend to set very high expectations for myself that are not always possible to reach. This is sometimes discouraging because reality never lives up to what I picture in my head, but it’s a characteristic that definitely pushes me to work hard and never give in when things get tough. I would be so honored if I was elected, and my main goal would be to ensure that everyone’s voices are heard. I know that there are things we want changed, improved, or events put on, and I would want to hear everyone’s feedback on what those things are. I would also strive to make our residence hall have a community feel to it and overall, work to improve the school to better fit the needs of the students. I am very interested in getting involved on campus as quickly as possible. I was unable to participate in as many leadership opportunities as I wanted to during High School due to the time commitment of rowing. Now with so much time in my day, I would love to work behind the scenes and learn more about how Butler works. My greatest strength is my ability to lead and motivate others. Both physically, while rowing, and mentally, during English Honor Society and class discussion. If elected, my short term goals would be to establish solid rapport with my floor mates and then rely heavily on their suggestions to spur Senate action. I would also seek to spread awareness of the Senate and its duties in order to get more of my peers involved.My long term goals revolve around increasing participation in Student Government and promoting an active role for my peers in our community. I would also like to improve the quality of the water fountains in Ross and to bring more outlets to the basement of the Library around the study cubes. I really would just like an outlet to command change that the student population in my residence hall can appreciate and push for. I have only lived in Ross for three weeks, but already, the phrase “Ross Love” truly carries weight in my mind. I think it would be really fulfilling to present an avenue to promote change in Ross for both myself and for other students. Essentially, I want to have the opportunity to be a megaphone for the students of Ross. My greatest strength is most likely my willingness to work with others. As a human being, my natural inclination is to believe that my gut feeling is always correct, but I never will reject another’s opinion out of principle, and I am always open to learning from others. My main goal would be to work with the constituents of Ross Hall to advocate to the whole of SGA the concerns and changes they want to see. I would also like to work with other members of SGA on projects that better Butler on a personal and a student-wide level. Another big thing I would to focus on is maintaining the camaraderie and spirit of Ross Hall among its constituents. To be frank, it is not as “quality” as ResCo or Fairview, but it has twice the love and support amongst its residents, and I want to make it my goal to keep it that way. I have always had a passion for leadership and service. I committed myself to serving my fellow students in High School, and being able to be a leader and make a difference in students’ lives was a wonderful feeling. I want to bring those skills to the Butler SGA, and develop those skills. My greatest strength is probably my commitment to something I care deeply about. I devoted a great deal of my energy to my leadership positions in high school and that passion was passed on to the others in the organization. I want to be an effective liaison for the residents in my hall firstly.  I want to effectively represent them and understand what they want to see at Butler. I want to serve my fellow students and help make their time here the best of their lives. Also, I want to help grow SGA and the role of Student Government. I firmly believe in student government’s ability to create change, and that it has the best idea of what students need. My motivation to run for senate is to get more involved on campus and bring high energy to first year students that is not lame to be involved and to go to the on campus events that we experienced during Welcome Week. I was a part of student council all four years of high school and was elected executive president by the council my junior and senior year. Student Council was my favorite way to get the students excited about making good decisions and bringing awareness to great causes. I have a lot of fundraising ideas and passions for good causes that I want to bring to this beautiful campus. One of these outreach programs is Thirst. Thirst is a non-profit program that raises money to provide clean water to third world countries. The most amazing thing about thirst is that you get to see the results. When you raise a certain amount of money, they allow you to pick the country that they will plant a well in and will send videos of the community enjoying the clean water the money provides. Fundraising can get old after a while when you keep taking out a five dollar bill and don’t exactly know where it is going, but when you can see the result in works that is what fills the heart with joy. I want the chance to open the minds of the bulldogs here to new fundraising ideas and new places to plug the money into. School spirit is also one of my most favorite things in the world and I am beyond blessed to now call myself a Bulldog. I would love to increase school spirit to first years as well. My greatest strength is my positive attitude and fearless personality to approach anyone to introduce myself. This is a personality trait I had when I was a little girl and it has helped me grow into a very likable person within my school. I love to spread my positive light to others and create a smile on their faces because you never know what that persons day consisted of. Many first students when they get to college think that college parties is the only way they will become popular, when college is the time to create a niche and become a better version of yourself. I want to help first year students be able to discover their niche without feeling the peer pressure to always be in a party scene. I think being senate of rescue would allow me to meet a lot of first year students and really just get to ask them what they love. As I talked about in a previous answer, I want to bring the Thirst project to this campus. I have always enjoyed connecting with fellow students and helping them learn the ways of a new environment and how to be successful. This is important while making them feel a sense of pride and belonging in the Butler family, beyond what any First Year may currently feel. When you make students passionate about anything the results are simple astonishing. I want to bring passion to students to make every student’s day a little bit better because they have the SGA while insuring Butler continues to be the strong university it is today. My greatest strength is my determination. Determination to not stop until the job is done. Determination to work to make sure every student feels a sense of purpose and belonging. Determination to make Butler a more welcoming and diverse environment. I am Determined to be the best I can be and the best for all my peers. I want to be the voice of the students and give them a formal forum to be praised and ask questions. Many student governments follow the same schedule year after year and fail to incorporate and make an impact on each and every student. I made this my mission in high school to incorporate the students that don’t attend the dances or the big games and created a 5k, video game tournament, and a movie night. I also want to create more of a sense of camaraderie among all the blocks in Resco. Even creating some type of olympics against floors or dorms, adding to some friendly competition and to get to know each other better. I also want to meet with students and dedicate meals to meet with everyone. I was president of my class all four years in high school, and I’ve always had a passion for being involved in student government. I like making positive decisions for a large group of people. I am very impressed by Butler’s SGA program, and I feel like I would really enjoy being apart of it. My greatest strength is my time-management skills. If I were elected, my goal would to plan an event that focuses on getting students together that declare the same major. That way, students can meet peers with similar aspirations. I want to get involved Butler, and be able to make a positive impact on our campus. I would be so excited to be able to represent my fellow classmates, and to voice their concerns. I think my greatest strength would be my ability to make things happen and my perseverance. If I was elected, my goals for this position would be listening to the concerns of the students from my housing building and conveying those ideas on a large scale. I want to impact and be impacted by Butler and its students in the biggest way possible. I want to help make a difference in the school like how it has already made a difference in me personally. My greatest strength is dedication to whatever I am involved with. I hope to bring as much success to the school as I can through working as hard as I can in my position. I want the presence of SGA to flourish and grow as far as it is able. I am running because I would love to be apart of SGA and I would love to be more involved in what goes on around Butlers campus. My greatest strength is that I am always willing to help others and be there for anyone who may need my help. If elected, I would make it a goal to make sure that everyone in Resco is enjoying their time there. Along with, helping to make Resco feel more like home. As well as, helping plan events that many students would enjoy. I would love to be a part of SGA and be more involved in the Butler community as a whole, and believe that representing my housing area would be a great way to start out in the Senate. I love getting involved in different activities, and I think this would be the perfect place to begin my involvement as a freshman. I am super friendly and care about people and their concerns unconditionally. I love to meet new people and truly care about those in my life. My goal would be to actively portray the voices of the students who live in this building. I would love to have suggestion boxes and get to know as many people living here as possible so that I can voice the concerns and suggestions that students may have to make ResCo an even better place to live. Personally, one improvement I would love to talk about is the need for more lighting out front of ResCo. I’m not sure if that is something this position would do, but I would love to voice concerns such as that. I really want to get involved at college, and I think I would be a great fit for this position. I have great leadership skills, and I always have a positive attitude. I have had leadership positions before in high school. I would love to get involved at this stage in my college career, so that when I am farther along, I can take those leadership positions with the knowledge that I will need. I would love to be able to represent my first year class through student government. My greatest strength is knowing when people have heard enough, and knowing when people are taking things too far. I would plan to listen to what my peers wanted to begin with. My main goal would be to learn more about the position and try to help the campus and student body as a whole. I enjoy listening to other people and helping them have a voice. I’ve always been involved in leadership and student council groups and I would love to continue that here at Butler. Also, I am eager to get as involved as I can around campus so I really want to put a lot of time and effort into being a senator. My greatest strength is my ability to work with anyone and being able to see the good in everything. I’m very optimistic and I’m good at judging people positively, which I have found to be beneficial. I have three main goals for this position. First, I want to meet each resident of my dorm and personally talk to them. Second, I want to maintain those relationships with people in my dorm and establish the ability to stay in contact with them so I can hear their opinions on important issues. Third, I want to be intensity involved with solving problems on campus. I became interested in government and governing after my participation in the We The People program in high school. The program studies in-depth the constitution and its application to all things both past and present. It is also a competition, in which my team placed 10th out of 56 teams in the nation. The program led my interests toward politics, and that is now my desired career path. I want to apply my motivations and my knowledge to representing the students of Butler University in the best way I can. I already care very deeply about the community at Butler, and I would very much appreciate being able to make an influence at the University. My greatest strength is my ability to work with others in an efficient and organized manner. If elected, I plan to gather the opinions and thoughts of my peers and improve the community at Butler. I would do this by engaging them via social media and word of mouth. Getting involved in various leadership roles around school has always been a passion of mine. The ability to work with others to help improve my colleges time on campus, is what motivates me throughout the year. I value everyone’s opinion and what they would like to see happen in there four years here at Butler. It is such a rewarding feeling when you are able to deliver their requests and see their excitement towards it. My greatest strength is my focus and drive to finish the task at hand. If I was elected into the position as housing unit senator, I would plan to hear the needs of my colleges to provide an impactful experience leading to the success of all residents living in Resco. It is important for all residents feel comfortable in their living situations, to enhance their academic and social life. During high school I was always a part of student government. I thoroughly enjoyed my student body coming to me with their problems and/or ideas and being able to implement them throughout the school year. My greatest strength is my enthusiastic personality. I am not a shy person so I am all about meeting and talking to new people. My goal would be to bring all the buildings together with different events and programs. Due to everyone not being in the same building it can be kind of hard to branch out and meet other residents in the apartment complex. I believe that I am qualified for this position because I am a very driven and organized person. I also am very good at listening to what others have to say and acting on their suggestions. I love to help people and this seems like a position where I would be able to voice others’ opinions that I too agreed with. I also am an opinionated person. If I don’t have enough information to form an opinion I will do more research until I can form an opinion on the subject. I have many strengths but I believe the one most relevant to this position is my ability to communicate. Not only to speak but also to actively listen to others and what they have to say. My goal would be to help allocate the necessary resources to the things that students wanted and that they were interested in. I want to make an impact on Butler my first year here. I’ve also found that due to my current schedule, I am left with an excess of free time and would rather dedicate that time to something of importance that could benefit others than spend it either working out or pleasure reading. My greatest strength is my willingness to both work alone and with a group. I prefer to work in groups due to my belief in multiple minds being more effective than a single mind. My goal for this year would be to improve the living conditions of those who live in CTS. There are no commuter candidates at this time. As a senior living off campus, it can be difficult to stay connected to everything going on so I think this position is a really good way to help fellow off campus dwellers stay connected and involved and have their voice heard. I also think it’s a good opportunity to be involved in shaping the direction of Butler as we go through so many major transitions. My greatest strength is my sense of humor. This might sound like a flippant response, but with such a busy schedule, it’s really helpful to be able to laugh when things get stressful and to keep a level head. A major goal is to increase engagement and visibility of the senator position. I was relatively unaware of this position in past years and didn’t really realize how to use these people as resources for my voice to be heard. I plan to use social media, office hours in Starbucks and a newsletter (with helpful info and some fun jokes so people like to read it) to stay engaged with fellow seniors. Keeping the position front of mind for seniors will be important to increase engagement and ensure people’s concerns are being voiced so I would also do spontaneous things like handing out cookies with a reminder about senators to keep people aware of this position. I also think being able to engage with the different areas of SGA like Student life and academics to help create programming that will be useful and exciting for seniors living off campus, as it is sometimes easy for people to feel disengaged when living away from campus. As a student leader, I have always been inclined to seek out campus leadership positions. As a member of Program Board for three years, I have had the opportunity to plan quality programs and events that engage Butler students of all majors, backgrounds, and goals. I enjoy the responsibility of playing a small role in the student life of every Butler student. I want to be an SGA Senator to further my experience as a campus ambassador and direct my experiences more intently on the concerns of my peers in order to bring about meaningful change for every Butler student. My greatest strength is definitely my ability to think in the big picture. As an education major, I always start a project or idea with a goal, or the end product in mind. Then I backwards plan to figure out the best way to reach that goal. This has proven to be successful for me and allows me to always keep an open mind when trying to accomplish my goals. If elected, my major goal would be to provide a voice for students, specifically those who live off campus. Many times, there are certain barriers or struggles that students face that do not get acknowledged by leaders who can provide change to improve the quality of student life. My goal would be to reach out to my constituents to find out what challenges they face and relay these challenges, to the people who can implement that change, as well as work with the people in order to provide meaningful solutions. Being a senator last year, it gave me pride to represent the voice of the students in my college. Knowing that I am who the students go to for questions, comments and concerns is something I took great responsibility in and I was proud to represent the voice of the students so I could better serve and transform our great university. I am eager to have the chance to do so again for a different group of students. Strength – Adaptability to the current situation. Experience working with all kinds of people. Transparency is key. Many students still don’t know what SGA does and what is going on on a weekly basis. I would make it my goal to make sure all students have their voices heard and that everyone is up to date on what is going on on campus. This would be my second year as a fraternity senator, and I’d love to be able to continue the work I started last year in Senate. I’m incredibly passionate about helping improve the student experience which is why I want to continue my role in SGA. I’m heavily involved in Greek System, but I recognize there are issues within it that need to be solved. I love the Student Senate because it is designed in a way that better researches and represents what students would like to see on their campus, and I love being an advocate for them. I was chosen for the Fraternity Relations Chair within my own fraternity because I’m incredibly passionate about building an environment for cooperation and productivity between houses. I want to utilize Student Government as another avenue to do that. Last year I did a lot of surveying of people involved in Greek life, as well students who are not involved to better gauge how students fell about the Greek system at large. This year it is my goal to take that evidence and help bridge the gap between students by encouraging fraternities to reconstruct their events in a way that includes all students, Greek or independent. My goal is to encourage fraternities to include Independents in their philanthropy events as well as combine other campus programming with their own. For example, during their philanthropy week, fraternities might partner with the Diversity and Inclusion board. Participants could earn points for their team by attending an event hosted by DIB in attempt to engage a greater portion of the student body in campus events. Additionally, I want to continue to work with BUPD on solving the Greek Parking issues. My motivations for applying for this position is to be an advocate for my peers, especially those in my sorority house. As an advocate, I would be able to express their concerns and thoughts, as well as my own concerns and thoughts about various campus activities and functions. By doing this, I will be able to improve Butler, and make it an even better place than it already is. My greatest strength is being a good listener and being able to see things from more than one angle. I am proud to be a part of Greek Life on this campus, and it is my opinion that part of being a member of a Greek house is always striving to be an example of leadership and constant growth to all those who you meet, and SGA is a way for me to continue to grow through meeting people, working for constituents and serving in a leadership role while making actual change on campus. My greatest strengths are caring for others and enthusiasm. I am passionate about helping others, and I am always looking for outlets in which I can help others in new ways. As a member of the SGA Senate, I would be able to help all students of Butler and my constituents, and pursue my passion at the same time. As a Butler Student Ambassador, I have learned amazing things about Butler University, and I am passionately enthusiastic about the incredible opportunity we, as students, have. I have learned how to communicate the enthusiasm that I feel about Butler and all of the amazing opportunities offered here to potential students and current students alike. If elected, my primary goal would be to represent the wishes of all of my constituents in the Greek Sororities. I would achieve this goal by assessing the problems that each of the individual sororities through meeting with the Executive Boards of each house, and creating more unity between the houses in order for there to be clear, reachable goals for SGA to achieve. I would like to be more involved on campus as well as become a better leader for the Butler community. I want to encourage all students to take part in on and off campus activities, while increasing Butler Pride. My greatest strength is my positivity. I always try to complete tasks with a positive outlook and try to find the best in everything. It makes others around me happier as well. My greatest weakness is that I am very critical on myself and always want to do my best. Sometimes I don’t think I do my best work and am hard on myself even though I did everything I could. I would like to get Greek life more involved in all campus events by creating more volunteer opportunities and an even better atmosphere for campus.